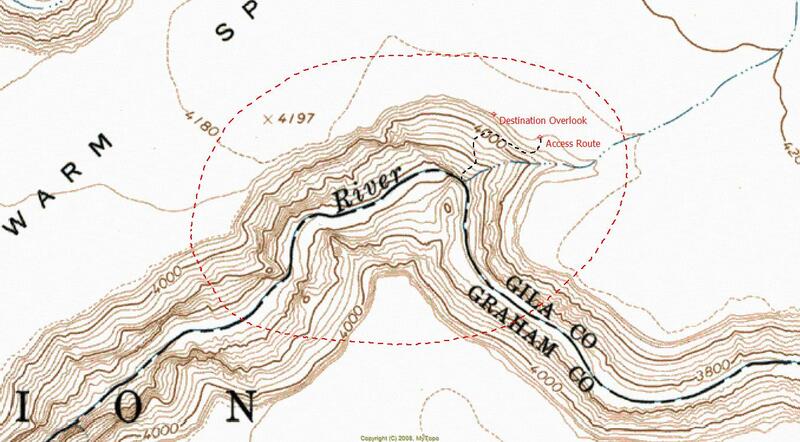 San Carlos River at Warm Springs Flat is a 2.6 mile one way hike with a 720 ft drop in elevation. Located 53 miles northwest of Safford Arizona. March and November are the best months to enjoy this hike. This hike involes off trail navigation. 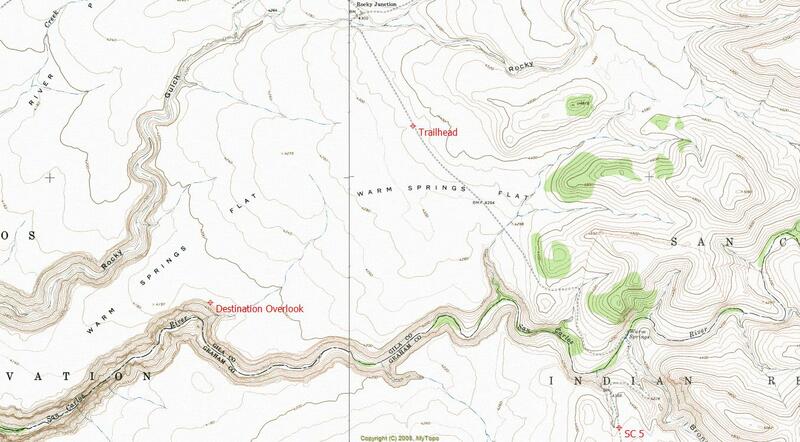 Review triplogs, photos and the route to understand the terrain before heading out. 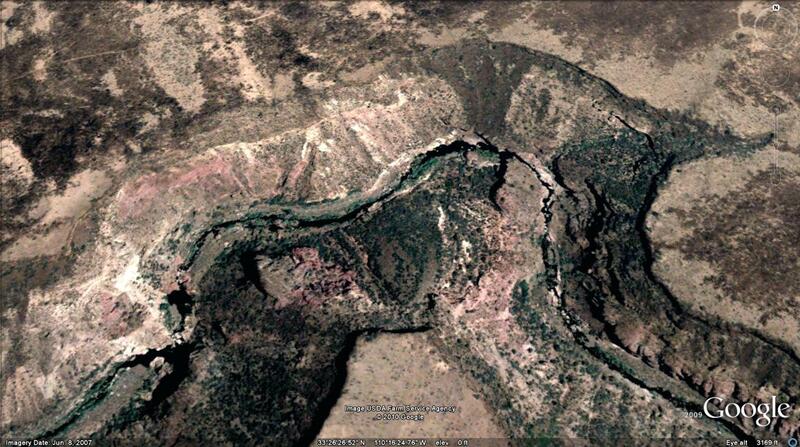 Overview: The Lost World... Absolutely amazing destination, located deep within the San Carlos Indian Reservation. Truly a hikers playground with a gorgeous river canyon, numerous large waterfalls, deep-water swimming holes, alcoves, a 3C technical slot segment (can be bypassed), and a beautiful large grotto area. Enjoy! San Carlos Indian Reservation Recreation Permit required. From Globe (junction at US60), drive southeast along US70 approximately 24.2 miles to SC-8. SC-8 to Point of Pines is a paved highway. There are NO services of any kind at Point of Pines. Drive northeast along SC-8 for approximately 15 miles to SC-5. The remainder of the drive is gravel/dirt. If it is raining, be prepared for horrendous mud. Drive along SC-5 for approximately 6.7 miles to the designated trailhead (Lat. 33 degrees/27'/51.76"/N & Long. 110 degrees/14'/30.78"/W). WARNING: This is a very remote location with no cell phone signal. Use caution and discretion during ALL activities. You're on your own!